U.S. Circuit Judge Brett Kavanaugh looks on as President Donald Trump introduces him as his nominee for the U.S. Supreme Court during an event in the East Room of the White House, in Washington, D.C., on July 9, 2018. 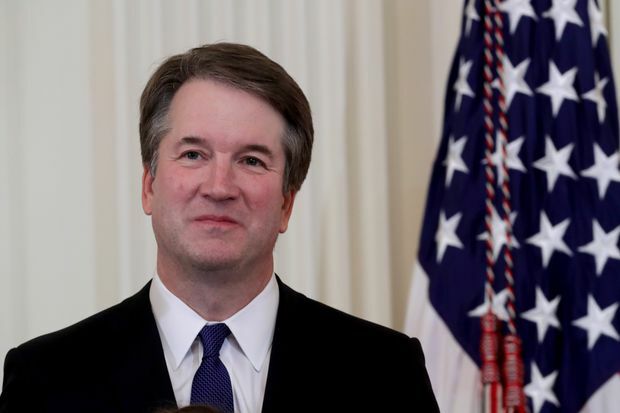 U.S. President Donald Trump said Monday that he is nominating Kavanaugh to replace the retiring Justice Anthony Kennedy. If confirmed, Kavanaugh is likely to be a reliable conservative vote who could weaken or imperil abortion rights, beef up support on the court for capital punishment and clamp down on the power of regulatory agencies. The nominee is an only child who credits his mother for his career path. Martha Kavanaugh taught high school history before returning to school for her law degree. She later became a prosecutor and a judge in Maryland. “My introduction to the law came at our dinner table when she practised her closing arguments,” Kavanaugh said at the White House after Trump introduced him as his nominee.